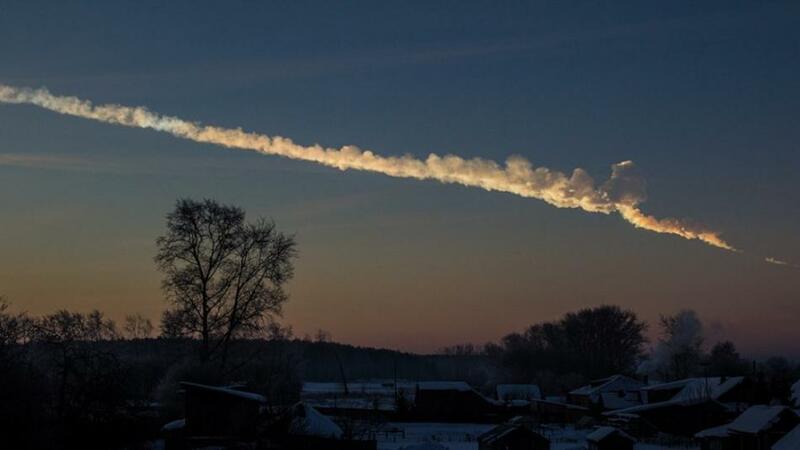 Astronomers have traced the origin of a meteor that injured about 1,000 people after breaking up over Ural mountains region in central Russia earlier this month. Using amateur video footage, they were able to plot the meteor’s trajectory through Earth’s atmosphere and then reconstruct its orbit around the Sun. As the space rock burned up over the city of Chelyabinsk, the shockwave blew out windows and rocked buildings. The team, from Colombia, has published details on the Arxiv website. Numerous videos of the fireball were taken with camera phones, CCTV and car-dashboard cameras and subsequently shared widely on the web. Furthermore, traffic camera footage of the fireball had precise time and date stamps. Early estimates of the meteor’s mass put it at ten tonnes; US space agency NASA later estimated it to be between 7,000 and 10,000 tonnes. NASA estimates the size of the object was about 17m (55ft). Using the footage and the location of an impact into Lake Chebarkul, Jorge Zuluaga and Ignacio Ferrin, from the University of Antioquia in Medellin were able to use simple trigonometry to calculate the height, speed and position of the rock as it fell to Earth. To reconstruct the meteor’s original orbit around the Sun, they used six different properties of its trajectory through Earth’s atmosphere. Most of these are related to the point at which the meteor becomes bright enough to cast a noticeable shadow in the videos. The researchers then plugged their figures into astronomy software developed by the US Naval Observatory. The results suggest the meteor belongs to a well known family of space rocks – known as the Apollo asteroids – that cross Earth’s orbit. Of about 9,700 near-Earth asteroids discovered so far, about 5,200 are thought to be Apollos. Asteroids are divided into different groups such as Apollo, Aten, or Amor, based on the type of orbit they have.